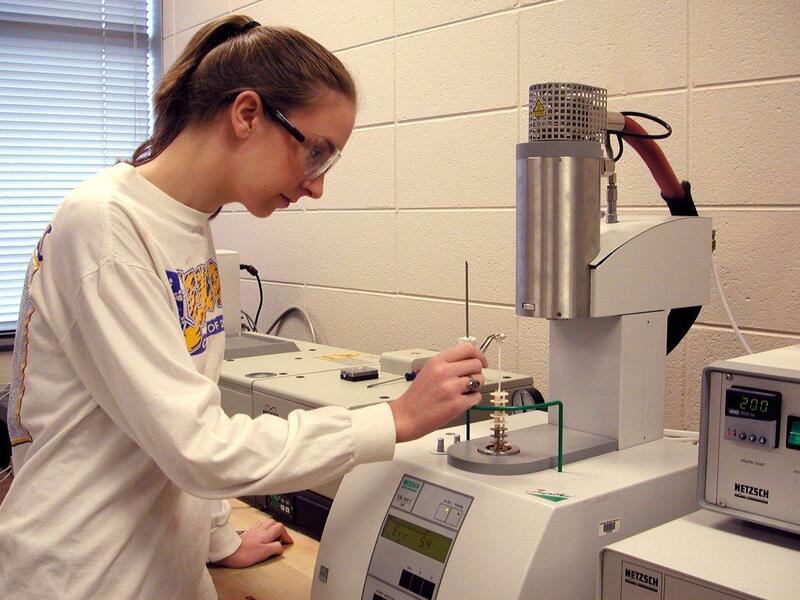 The Bishop Materials Laboratory is an ISO 17025 Accredited Laboratory. Our fields of testing include Cement, Concrete, Aggregates, Masonry, Stones, Bricks and Tiles. A complete list of the accredited test methods can be found here. Permanent Center staff members conduct ASTM and other tests on bricks using documented procedures established under the Center’s Accreditation. The Center also employs a small number of University students who assist in testing under the direct supervision of the Center’s permanent staff. The purpose of employing students to assist in testing and to perform research is to augment their educational experience. The Center staff can advise Members and Constituents on which tests to perform, and the staff can help Members and Constituents understand the use of test results in analysis of manufacturing or service related problems. The provision of testing services makes optimal use of instrumentation and test facilities provided for research and manufacturing assistance by Members. All Center tests are conducted under the appropriate policies of Clemson University, Any advice or interpretation of test results by the Center’s personnel represents the sole opinion of the person providing interpretation/advice. Any interpretation or advice provided by the Center does not represent opinions or conclusions of the University, its Officers, its Trustees, or its other Employees. For further information, please contact the Director, The National Brick Research Center.